It took a year, but Apple is finally recognizing that the iPhone X display has issues. What is the iPhone X Display Module Replacement Program? Apple “has determined that some iPhone X displays may experience touch issues due to a component that might fail on the display module,” which could result in unresponsive or overly responsive displays. The replacement program swaps in a working module for free. How do I know if my iPhone X model is affected? If you’ve experienced one of the following issues your iPhone X is likely covered by this program: 1) The display, or part of the display, does not respond or responds intermittently to touch; or 2) The display reacts even though it was not touched. Otherwise, all iPhone X models could be affected, with no manufacturing date window. I’ve experienced that! How do I check to see if my phone is eligible for a screen replacement? Apple hasn’t provided a way to check for eligibility in the program, so you’ll need to have an Apple authorized technician check out your phone first. First, make sure your data is backed up to iCloud or iTunes. Then make an appointment to take your iPhone to an Apple Store or an Apple authorized service provider, or arrange a mail-in service. If your phone is eligible for repair, you can get it fixed immediately. My screen’s cracked. Can I still get it fixed? Yes, but Apple will force you to repair the screen first. If you have AppleCare+ for iPhone it will cost you $29 (assuming you haven’t already gotten two repairs in the past year). If you don’t have AppleCare, a screen repair will cost $279. Afterwards, the module replacement will be free. How long will it take to repair the screen? 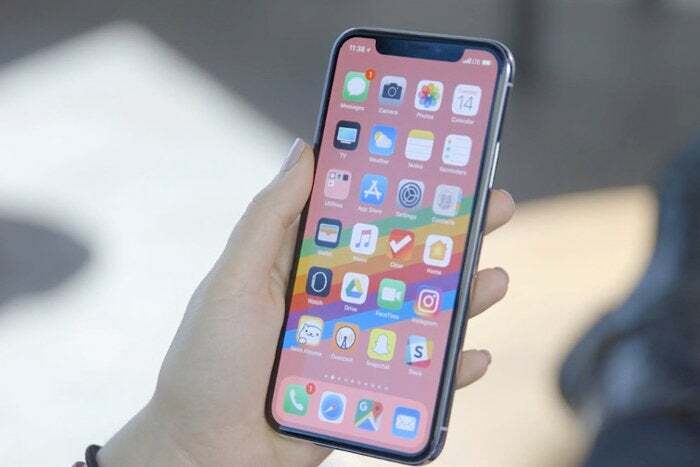 Apple doesn’t estimate the time of repair for this particular issue, but generally iPhone screen replacements take about an hour, so it will likely take about the same time. Will the module replacement extend my warranty? I have a similar problem with my iPhone XS. What should I do? You should take it in for Apple service, but it’s not part of this particular program. I already paid to fix my iPhone. Can I get a refund? Most likely, yes, as long as the issues are related. Call Apple or the authorized retailer where you had your iPhone fixed and inquire about a refund. Apple hasn’t set an end date for the module replacement program, but the program lasts for 3 years after the first retail sale of the unit. So if you bought your iPhone X on launch day, you have until Nov. 3, 2020 to get it fixed.